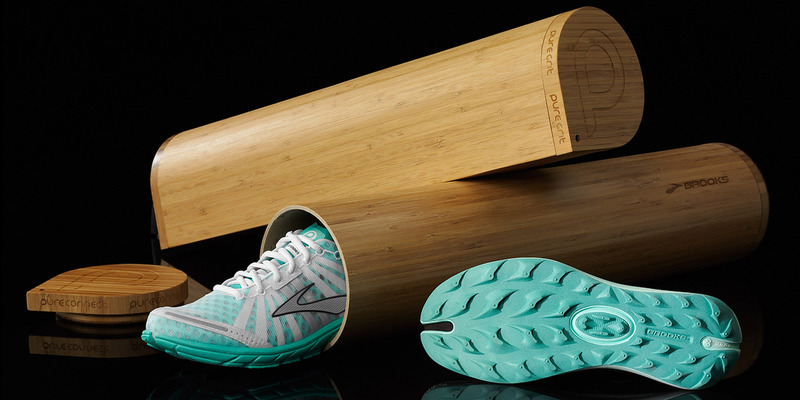 The PureProject line of minimal running shoes was a dramatic departure for Brooks Running. As such, it required an equally dramatic unveiling. The branding required an identity that embodied the minimal philosophy of the collection. 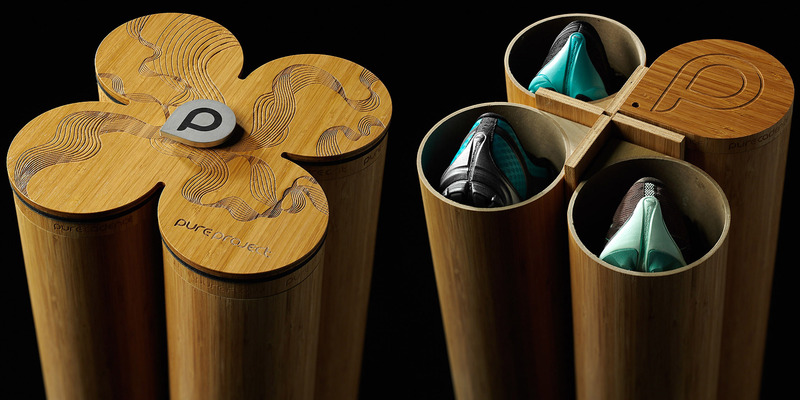 The launch kit, fashioned from bamboo, embodied the sustainable ethos of the PureProject line. The laser-etched lid revealed 2 brochures and 4 raindrop-shaped canisters. Designed to be a keepsake, with no material going to waste, the containers may be removed and re-used in various ways. Two brochures fit within: the product booklet features exquisite photography from acclaimed fashion photographer Kenji Toma. It’s accompanied by a humorous instruction manual for creative upcycling of the kit.